Welcome to an experience beyond anything simply adequate. Confined by the old brick walls, a whole other world of light, sound and structure opens up and stretches out into infinity. A raw factory feel meets soft textiles and modern design in combination with a warm restored feel of home. A hotel with 57 double rooms, a restaurant with boastful view over Sävelången, and contemporary technology are all ready to assist you in your realising your wildest ideas in true character of Nääs Fabriker. Regardless of the reason for your stay - conference, relaxing weekend or a few leisurely spent summer days within convenience distance to Gothenburg - you will discover that everything here is just that extra little bit bigger, more authentic and more generous. That is exactly what we mean by beyond simply adequate. 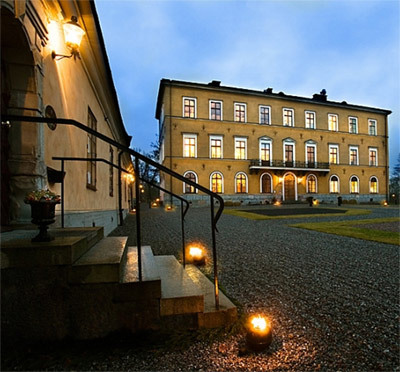 Have you been to Nääs Fabriker Hotell och Restaurang and want to give your own comments?